Once brewing passed the artisan stage brewers have always moved to greener, foreign pastures for their trade. When a lawn is well-watered, seek a parcher patch to moisten, quite literally. Even in olden times brewers moved around: English monastic brewers brought their skills to France, as I discussed a while back here. Certainly by the industrial revolution brewers from Alsace and Lorraine, say, moved around Europe, and beyond, to set up brewing. They did so especially after the 1870 Franco-Prussian War and even before, I chronicled an instance in my essay France to Fraunce, here. Famously, Germans or British under their influence established lager-brewing in the United Kingdom from the late-1800s, with consequences that endure to this day. Pint of Carling, anyone? Yet the Brits took their brewing on tour, too, sometimes permanently. The Scotsman David Carnegie, Jr. set up porter-brewing in Sweden in 1836. His beer continues in 2018 under the aegis of Carlsberg. A British-based firm of beer exporters, A Le Coq, established a brewery in 1911 in what is now Tartu, Estonia. Martyn Cornell details the history deftly in his recent “Albert Le Coq and the Russian Stout Trade”. See Brewery History, Autumn, 2017, pp. 2-8. British capitalists in the late 1800s invested money in German breweries that had been grouped into limited liability companies, a practice they followed in the U.S. as well and other countries. That was the extent of British involvement in German brewing since no Briton would think of actually setting up a brewery in Germany. After all, if not the brewing land, Germany was and is premier, at a minimum. You don’t bring coals to Newcastle. So I’ll move to another country for this narrative, Belgium, say. But wait. There was at least one British-owned and run brewery in Germany in the 19th century. It was in the Moselle wine country, west of Frankfurt not far from Luxembourg and Belgium. It was set up in the 1850s to make British-style beer for British residents and travellers in the region, in the village of Senhals. The availability of the beers at far less than the price of imported British beer was an obvious draw. A number of German-language sources discuss the history of the Englishche Bierbrauerie, or English Brewery, in Mesenich, a name for the wider municipal area where Senhals is. Since my German is not up to the task, Andreas Krennmair, a software engineer and beer historian, has kindly prepared a summary in English of the brewery’s history as set out in this 2016 essay on historical breweries. Andreas is Austrian-born and currently resides in Berlin. He recently authored Historic German and Austrian Beers for the Home Brewer, soon to be added to my cart. It’s garnered excellent notices, see the Amazon listing, here. In the late 1820’s, the Rhine and Mosel regions had over 26,000 British tourists annually, so English businessmen had the idea of opening an English brewery. In the protocols of the town of Mesenich the application to open a brewery was recorded in 1852, first under the name J. Heathcoote Brooks, which was later changed to Griffin Jones. The application was granted, as “an establishment of that kind won’t bring disadvantages to either the town or the surrounding area, but rather must bring advantages in relation to the consumption and employment of the working class.” The brewery must have been built rather quickly, as it was already advertising in 1853 their London Porter, Pale Ale, Table Ale, Table Beer and Table Porter (all bottled). The owner was Griffin Jones. The brewery was reported to have failed three years later, since the owner did not have enough capital to purchase necessary machinery or to run the business, “therefore didn’t accomplish anything”. It was sold to another Englishman who ran the former brewery as maltings, and built a new brewery in Senhals. The brewery advertised in English travel guides in 1857. The brewery wasn’t successful either, and was sold two years later in court in a foreclosure sale. It is not known who bought it, but it is mentioned again in 1863 because another owner of the same brewery, went bankrupt. It was most likely operated as a brewery after that, but beer production was stopped in 1870’s. The building was used for other purposes afterwards, as sleeping halls for workers, wine trading business, chicken farm, even wine tavern. The house fell in disrepair in the 1950’s, only ruins are left. In total, the beer brewing business in these towns was only active for 25 years, and probably suffered from economic issues since the very beginning, but the author nevertheless finds it exciting to see the attempts of English brewing in a German wine region. The original brewery (not the later one it appears) survives as an atmospheric, still-massive ruin. 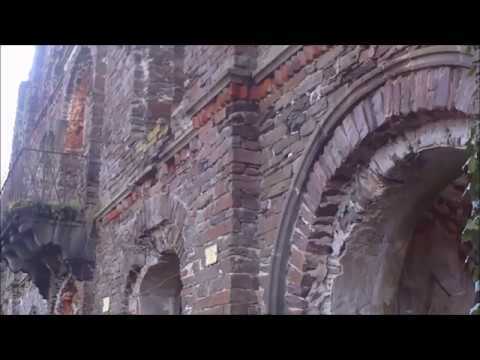 The image below is from a five-minute youtube tour of the long-disused site, see here. The building was a solid, three-story brick structure with arched entrances. It was clearly built to handle malting as well as normal brewing operations, hence the thick weight-bearing walls. Messrs. Brooks, Jones, etc. were ahead of their time, oh by 160 years or so. Stone Brewery of Escondido, CA established a branch outside Berlin not long ago and all reports indicate a clear success. Germans were always capable of appreciating good English and Irish beer. Bass Ale, Guinness and other porter, and other over-the-Channel names enjoyed repute in German lands, even – indeed especially – in the heyday of German and Austrian brewing. In fact, porter became a minor specialty of some German brewers, a legacy of the influence the original imports had. What was the Senhals Englische beer like? We can only guess. It seems the brewery failed not from want of customers but the usual problems of tight finances. The fact that the product was bottled suggests perhaps too the intended market was too narrow. Beer from the barrel would have broadened the appeal to locals. 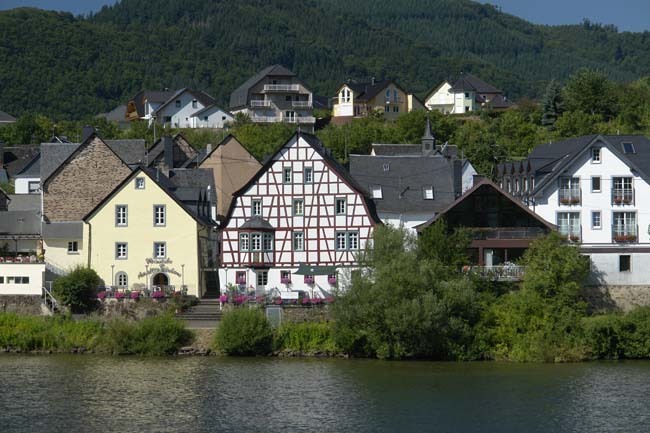 Perhaps though they were wedded to the famous Mosel wines and indigenous beers or ciders. Maybe English beer in German wine country just wasn’t fated to be, then. Today, in distant Rochester, NY the long-established, satisfyingly German-sounding Rohrbach Brewing Co. markets a Moselle English Porter, pictured above. It is part of the brewery’s small-batch series. There is no connection as far as I know to the intrepid 1850s British brewers in central-west Germany, but as the name resonates anyway I include their label here. All reports suggest a prima beer, too. 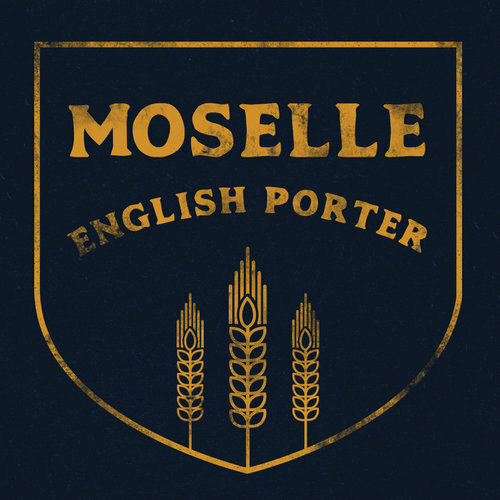 I will look for it when in Rochester this fall re-visiting western New York State, and will raise a toast to the Englishmen who had the chutzpah to brew beer in Germania – hopefully with Moselle English Porter. To conclude, below is an image of charming Senhals today, from the town’s website, here. Senhals is now known officially as Senheim, or Senheim-Senhals, the second name is the larger, not-quite-adjoining town on the opposite bank. On flows the Moselle, even as a second river flowing through the towns, of English porter and ale, long ago dried up. Note re images: each image above was sourced from the sites mentioned and linked in the text. All intellectual property in the sources belongs solely to the lawful owners, as applicable. Images are used for educational and historical purposes. All feedback welcome. Fascinating. The 19th century saw a great deal of cultural and economic exchange between Britain and Germany. Boak and Bailey make the point in their Gambrinus Waltz that Germanic things were very fashionable in Britain in the late 19th century, and it was the increasing economic and military competition between the two nations and eventually war that put an end to it. Sailing down the Rhine was a popular tourist attraction for those who could afford it, as you note. 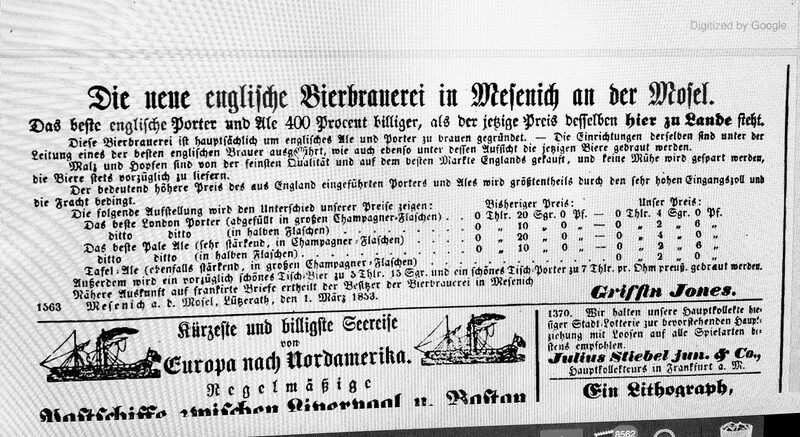 There were at least two other “English breweries” set up in Germany in the 19th century: Englische Bierbrauerei Deetjen et Claussen and the Erste Norddeutsche Actien-Ale- und Porter-Brauerei, both in Bremen. I suspect there were probably more. One of the directors of Erste Norddeutsche was a Mr Philipson, who I think we can assume was British. Thanks for this, Rob. I suspected there was more than one English brewery in Germany then, hence my qualification “…at least one…”. My reading suggests a very strong reputation for German beer certainly by mid-century in the U.S. and Britain, and probably earlier. It’s certainly true that Pilsner Urquell (Bohemian but broadly within the orbit we’re discussing) was influenced by U.K. pale ale brewing, and ditto for Dreher and others in Germany, but Germany as a beer-land is old lore, well pre-dating this. The success of Brunswick mumme is just one instance, its innovations with the hop another. Regarding WW I, it was caused imo largely by German militarism and excessive power. Britain did not start that war in any meaningful way. Obviously that’s another discussion and I’m here to discuss beer, mainly, but as you mentioned the issue that’s what I concluded from an examination of these issues many years ago, FWIW. Thanks again and as we say here, don’t be a stranger. Nice article , published as I`m starting to develop my interest in Austrian and German commercial brewing !! Thanks Edd, that table from 1908 I posted yesterday must have helped too (I hope anyway). Were the ABVs right there by the way? Something seemed off to me (I gave an example in a post yesterday) but not sure I approached it right.